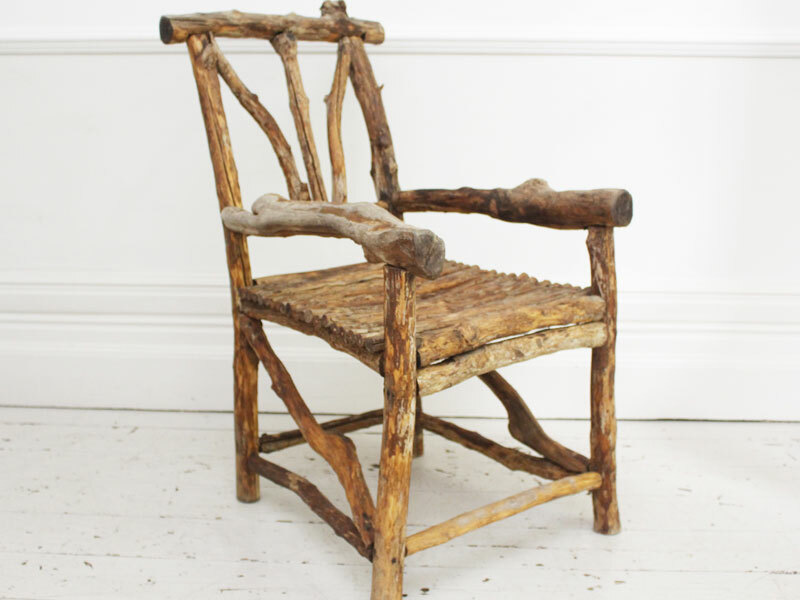 Wonderful 19th C French Folk Art Bergere's Wooden Armchair. 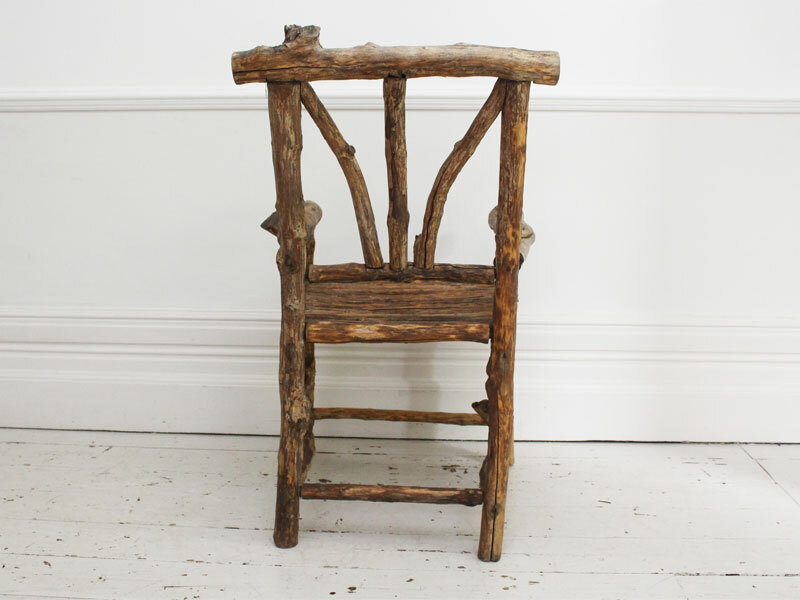 Folk , or Tramp Art, known in France as 'Art Populaire' is a favourite of ours. 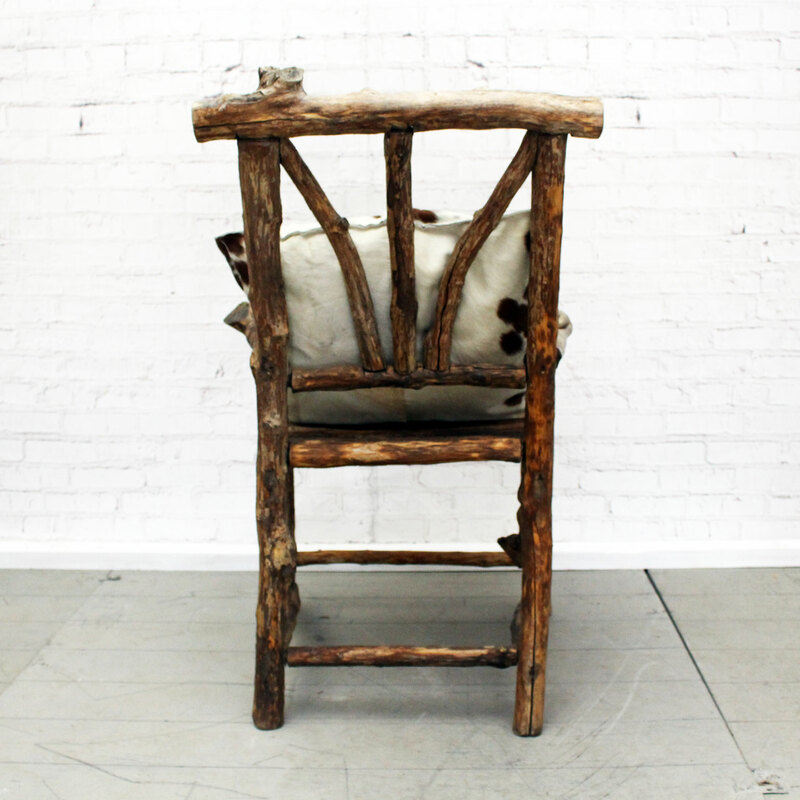 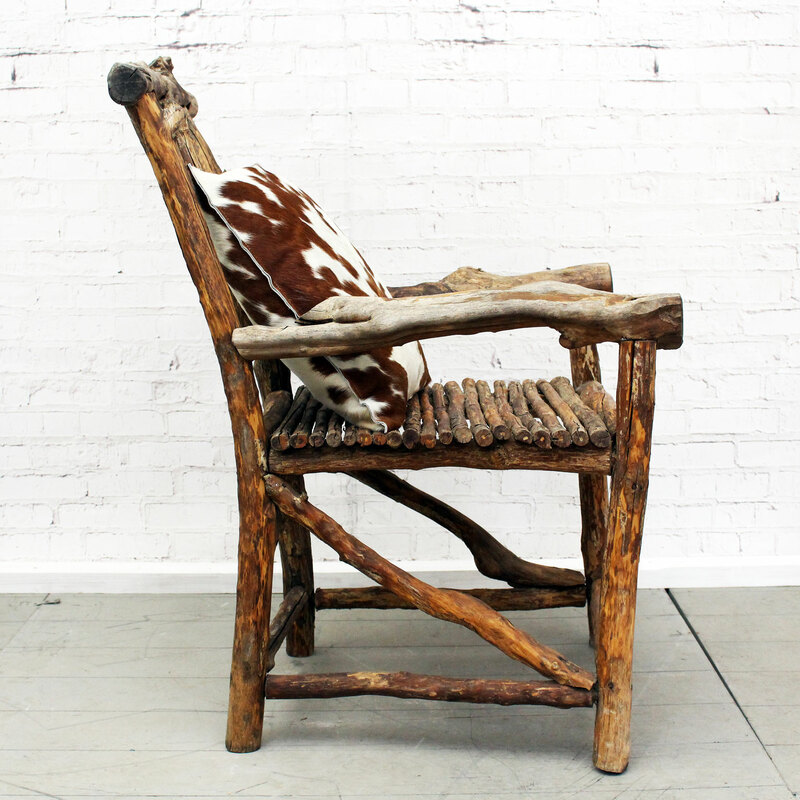 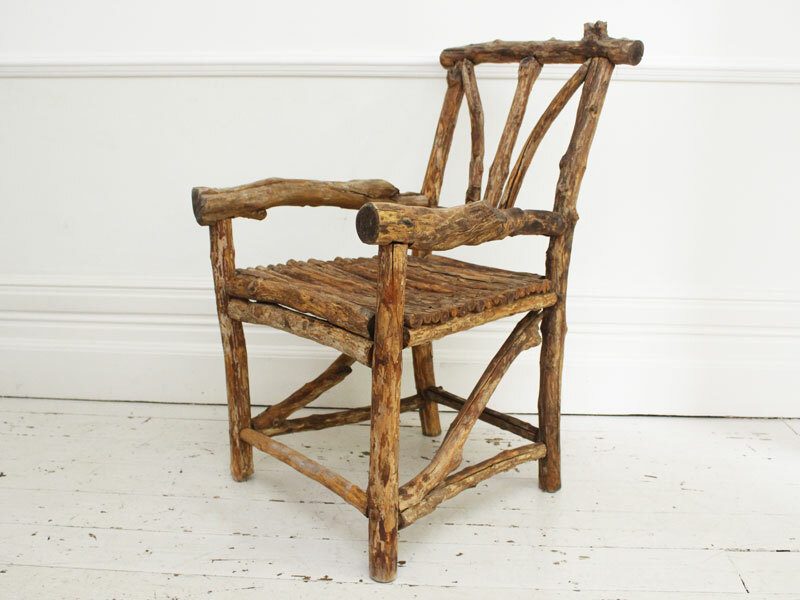 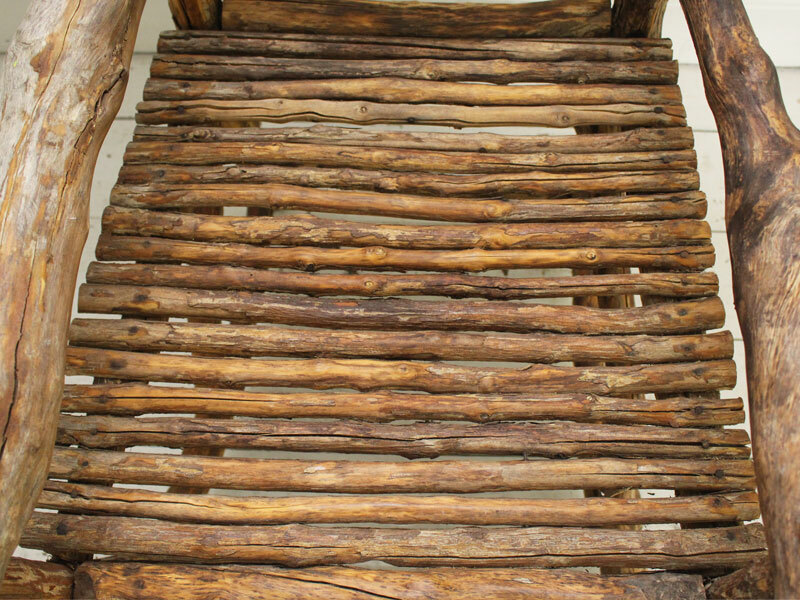 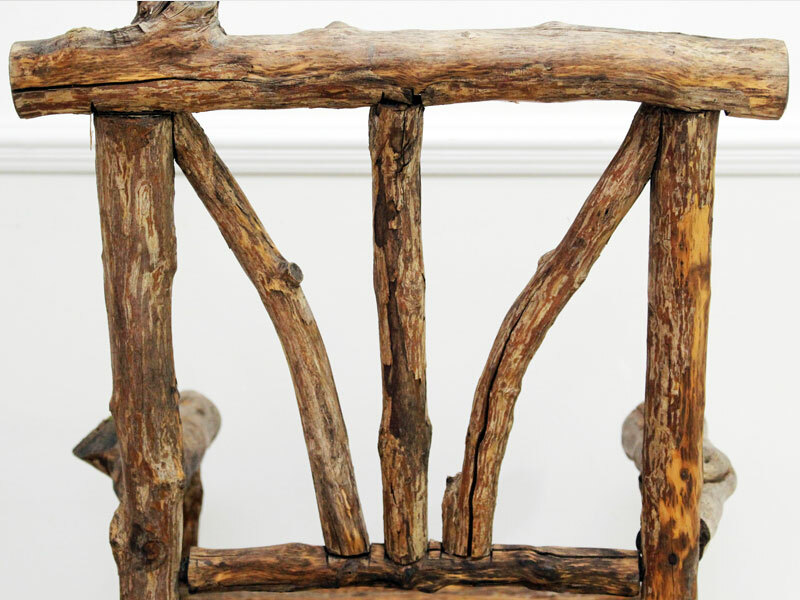 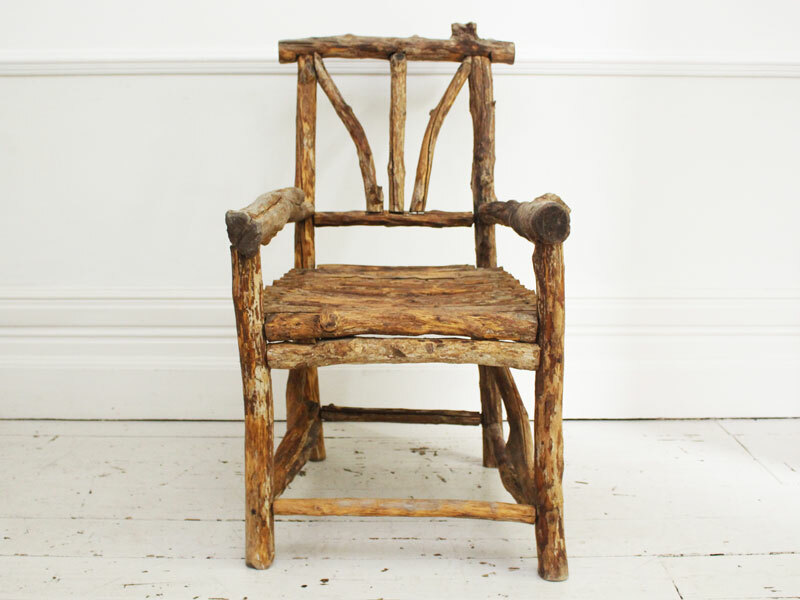 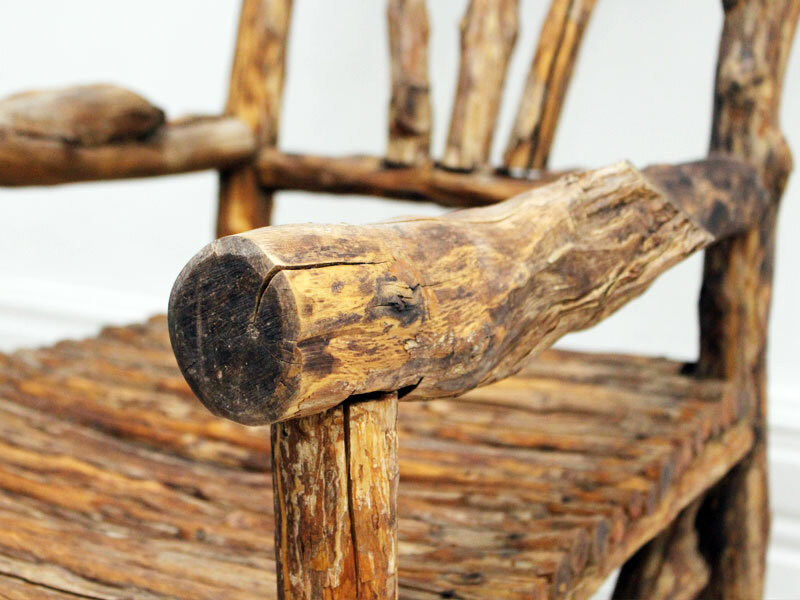 Each piece has so much soul This lovely chair would have been made by a Shepherd while he tended his sheep. 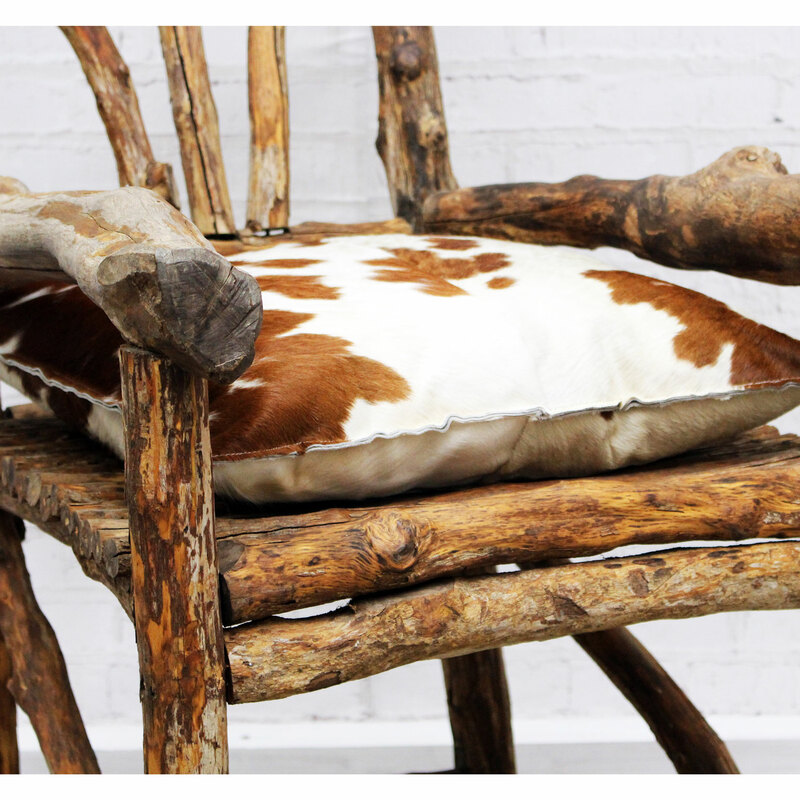 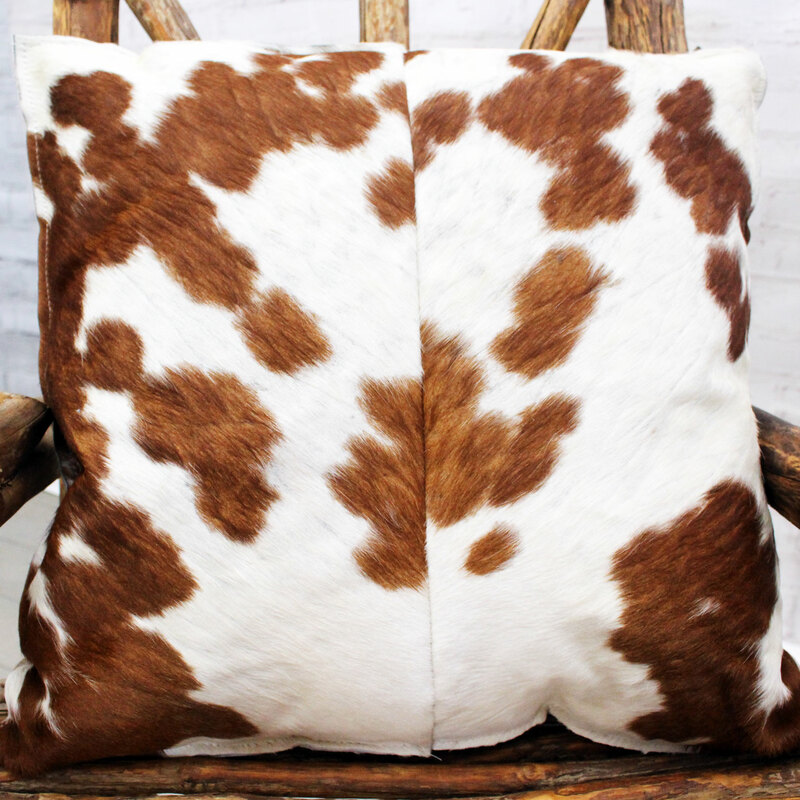 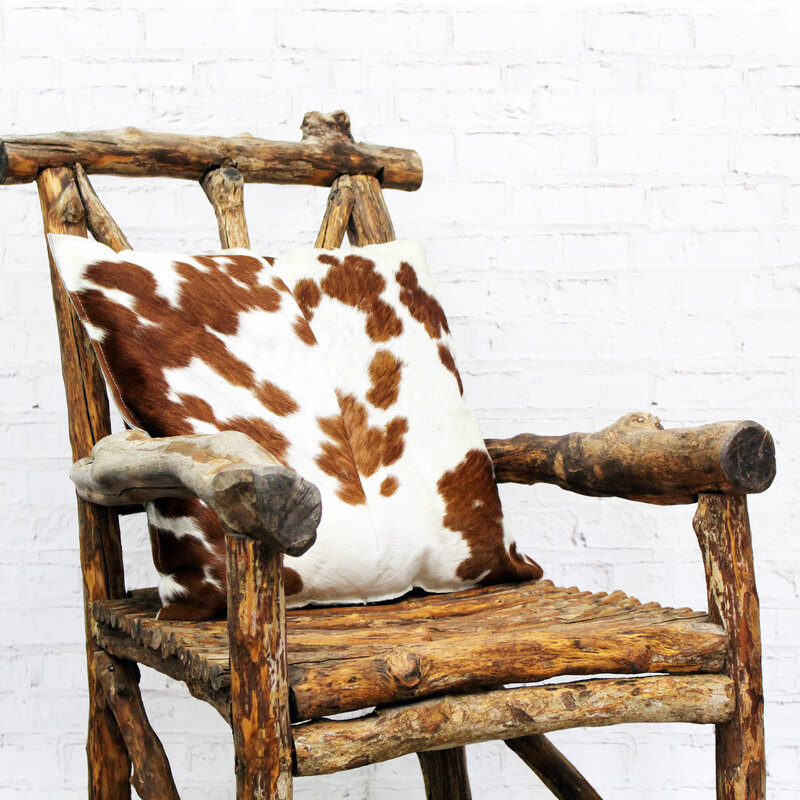 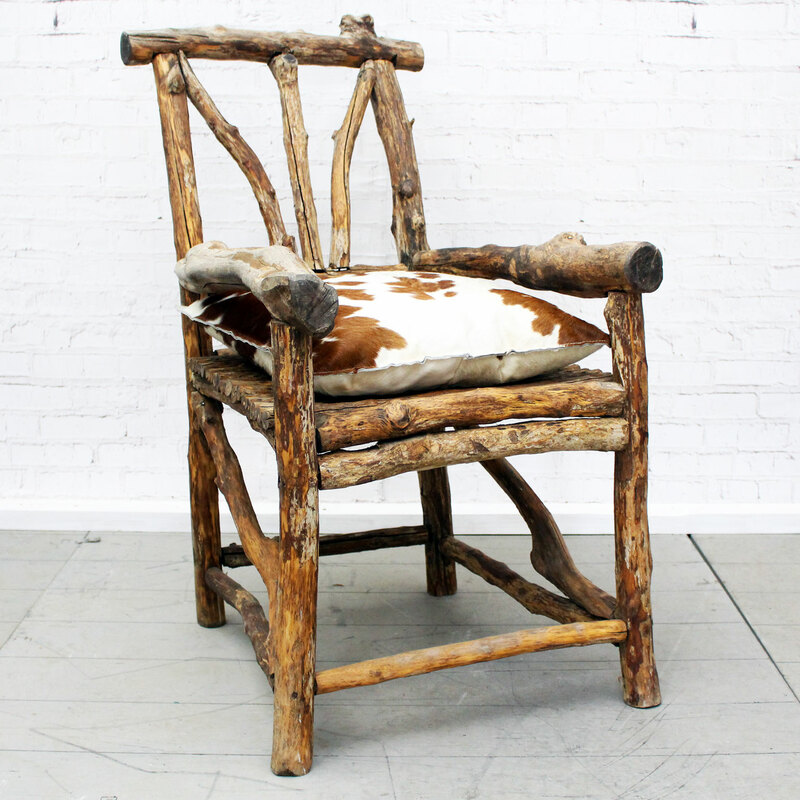 The Cowhide cushion was handmade by Charlotte Casadejus and is included in the price.